Trivia will be happening this Tuesday night, March 12th at 8:30 PM, with the Special Category "Ireland Trivia", in honor of St. Patrick's Day coming up next weekend. 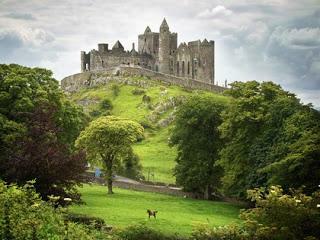 It will be seven questions concerning the Emerald Isle in history and pop culture. The Q Train lightning round is "Movie Presidents Trivia." I will give you the names of ten movies and the year they came out that include actors who played the president of the United States in that film. You have to tell me the actor who played the Chief Executive. "AuctionWeb was the original name of what popular website?" Looking forward to seeing many of you on Tuesday night for another great night of Trivia!